Meritus Residensi by Hua Yang Bhd is a residential property project located at Jalan Baru, Seberang Perai, Penang. Meritus Residensi comprising a 44-storey tower with a total of 480 serviced apartment units and 15 retail units. The serviced apartments have built-up areas from 945 sq.ft. 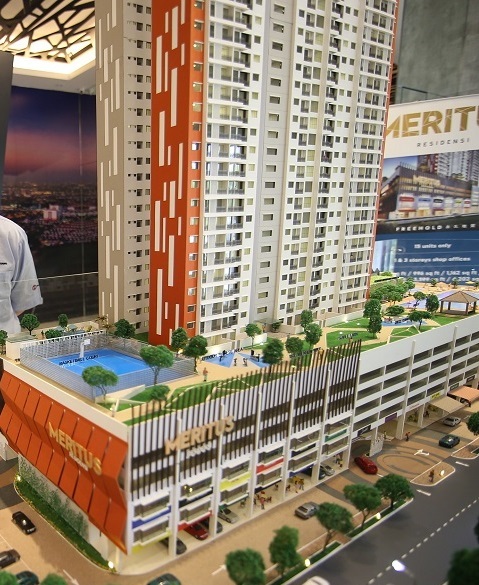 Meritus Residensi are priced from RM364,500 and is expected to be completed by 2020. Built-up Area : from 945 sq.ft. Im Exclusive Agent From Meritus Residensi !! I'm Exclusive Agent From Meritus Residensi !! Incredible Offer / IKEA voucher - ONLY LIMITED UNITS AVAILABLE!! !